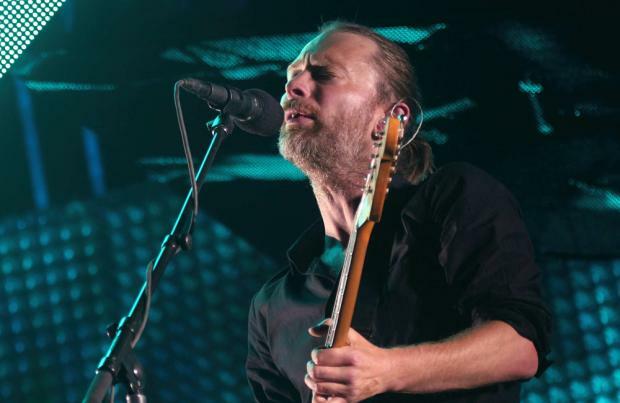 Radiohead's longtime collaborator Nigel Godrich says making their new album, 'A Moon Shaped Pool', was "an intense experience"
Making Radiohead's new album was "an intense experience". The 'Creep' hitmakers' long-awaited LP 'A Moon Shaped Pool' was made available for digital download on Sunday (08.05.16) and longtime collaborator Nigel Godrich revealed that the record was particularly meaningful for him as his father died during recording. The record will not be released physically until June 17 and the digital download comes just days after the group shared two songs, 'Burn The Witch' and 'Daydreaming', with fans. The former was accompanied by a Claymation video directed by Chris Hopewell, while the latter featured an accompanying promo clip directed by Oscar-nominated filmmaker Paul Thomas Anderson. it was previously claimed that the rock band - consisting of Thom Yorke, Jonny Greenwood, Colin Greenwood, Phil Selway and Ed O'Brien - were planning to release their ninth album in June and it would be like "nothing you've ever heard." The group's manager Brian Message was reportedly overheard confirming the news during a conversation at The Wanstead Tap bar in London last month.